WICKER PARK — The bustling Blue Line Lounge & Grill could be reopening next Wednesday or sooner. 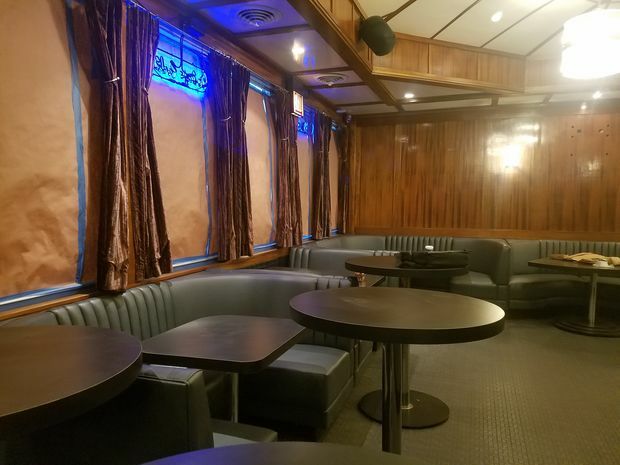 Eric Jackowick, owner of EJ Carpentry, said that the fully remodeled lounge is aiming to reopen on Wednesday or sooner with all new seating: booths, couches and bar stools. Known for its inventive martinis and well-worn booths, the Blue Line Lounge & Grill, at 1548 N. Damen Ave., closed on Oct. 1. "The booths had a beating. These are all new," Jackowick said. The Wicker Park lounge missed a reopening deadline of Oct. 13. 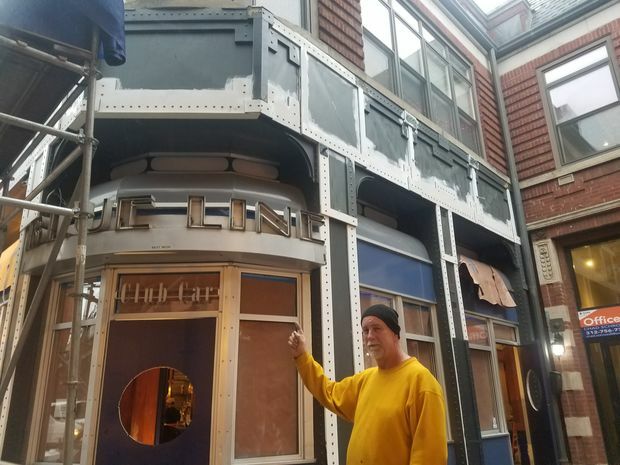 Jackowick said he was the original carpenter hired to convert the former Busy Bee Diner into the Blue Line Lounge & Grill 16 years ago. In addition to all new booths and carpentry, the wood finishing above the bar got a fresh shine and the walls were painted. Blue Line's Owner John Halle could not be reached for comment. Blue Line Lounge opened on Sept. 20, 2001. The Busy Bee, a famed Polish diner, closed in 1998 after a 32-year run. The Busy Bee was owned by Sophie Madej, who died in 2014. In a 2014 tribute to Madej, former Sun-Times columnist and critic Dave Hoeksta wrote on his blog that the diner was a favorite of Chicago Mayor Harold Washington, who liked Busy Bee's oxtail stew, and then First Lady Hillary Rodham Clinton, who visited the Busy Bee in 1992 and made a comment that sparked national controversy. "I suppose I could have stayed home and baked cookies and had teas, but what I decided to do was to fulfill my profession which I entered before my husband was in public life," Clinton said in the Busy Bee, Time reported. The large building that houses Blue Line Lounge & Grill, as well as neighboring Urban Belly and several upstairs loft offices at 1542-1556 N. Damen Ave., is owned by a Newcastle Limited-backed venture Predator which bought it for $9.87 million in July 2012, Cook County records show. The outer exterior of the restaurant features a replica of the steel structure that surrounds train tracks. The restaurant and bar is designed to look like a train or club car.